Now I can finally build “The Wee Game” that I have been promising myself. The libraries draw.js and 3d.js are usable (after a few modifications) with all canvas supporting browser platforms. 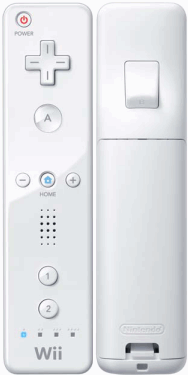 You can use the Wii mote to make a cheap whiteboard system and then create a web app to interact with it. I love the possibilities. Thats a very useful set of functionality… will add Wii games to my ever growing list of “one day” programs. Now we just wait for the killer wii app, which I suspect will be a lot more difficult than a bunch of wrapper classes. Nice possibilities though. The gapjumper web application framework is also compatible with the Wii, although as a general cross-browser framework it doesn’t provide any Wii Opera specific functionality.